The inciting incident is the key to storytelling. It should take place as early as possible in the story, that’s certainly what film script editors prefer, and – in dramas at least, it should take the protagonist and the reader to a dark and powerful place. Here are some good inciting incidents – and one weak one. 1) Judge Dredd. As I relate in Be Pure! Be Vigilant! 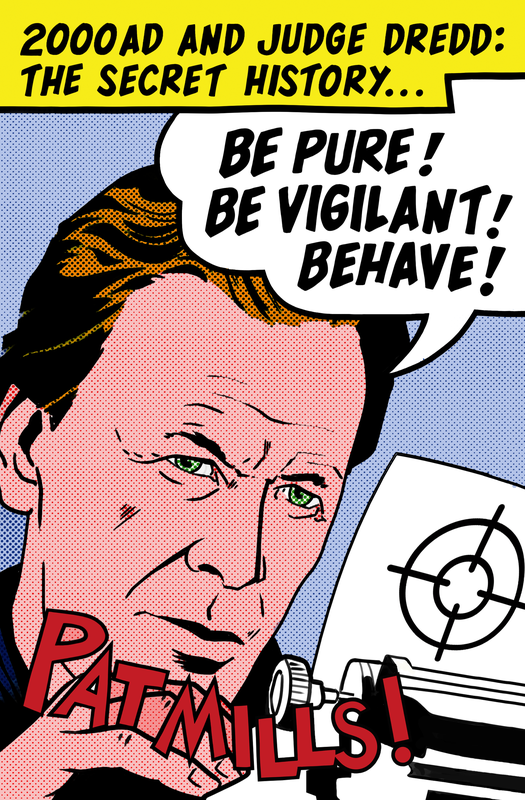 Behave! 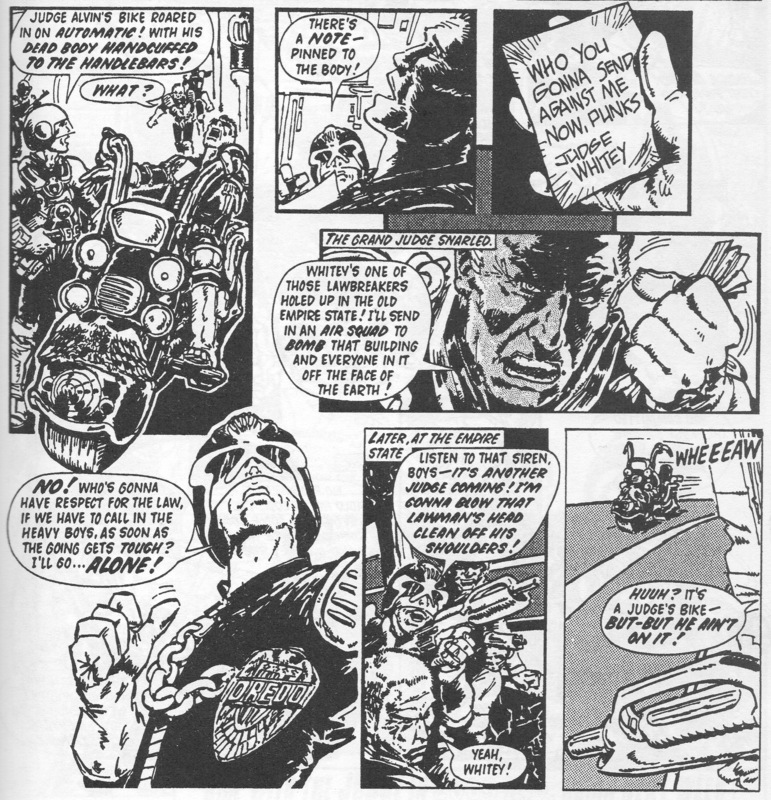 2000AD & Judge Dredd: The Secret History, when I was developing Judge Dredd, I wasn’t happy with my first introductory episode, or John Wagner’s either (the creator of Dredd). They were both okay as scripts, but something felt missing. Then along came Peter Harris’s script, where a Judge is killed by a street gang in the opening sequence. His corpse is sent back on his motorbike to Justice H.Q. That’s the inciting incident. An outraged Dredd elects to go to their base at the top of the Empire State Building to destroy them. He risks doing it alone to show the gang the power of the Judges. It was perfect, because the inciting incident creates such a strong emotional response in Dredd – his brother Judge must be avenged. So Peter’s story became episode one. By comparison, in my script and John’s, there was no strong inciting incident – they were just typical future cop stories. 2) Sláine. In episode one, the inciting incident features a teenage outlaw Sláine revealing that his king is dead and therefore he can return home, he will no longer be an outcast and, potentially, he could be a hero. It also means the end of his criminal relationship with his dwarf Ukko. Ukko begs Sláine not to leave him and desperately clings onto his leg, so there’s plenty of emotion and comedy from his sidekick. But I still missed an emotional beat. I could also have had Sláine in a single picture saying, ‘It’s time to go home’, his eyes full of sadness and longing for his tribe. That would have been even more potent. Instead, he treats the subject with a certain stony, teenage indifference – which is authentic – but is not particularly powerful in dramatic terms. 3) In the brilliant TV series Callan, the killer Callan refuses to assassinate a secret Nazi. It’s a classic ‘hero refusing the quest’ device – which automatically captures our interest and ups the tension. Then his controller reveals his target was involved with the V2 rocket programme. A V2 killed Callan’s parents during the war: he immediately changes his mind. Potentially, this is a good inciting incident but it still feels weak and stuck in. This is because his parents’ deaths are never referred to again. So it lacks conviction, emotional power and subsequent importance. It’s obviously not written from the heart, and therefore feels like a script editor’s suggestion to me. That said, it’s probably better than Batman’s over-used inciting incident: endlessly going on about his parents’ murders in every issue, as an excuse for his vigilantism. 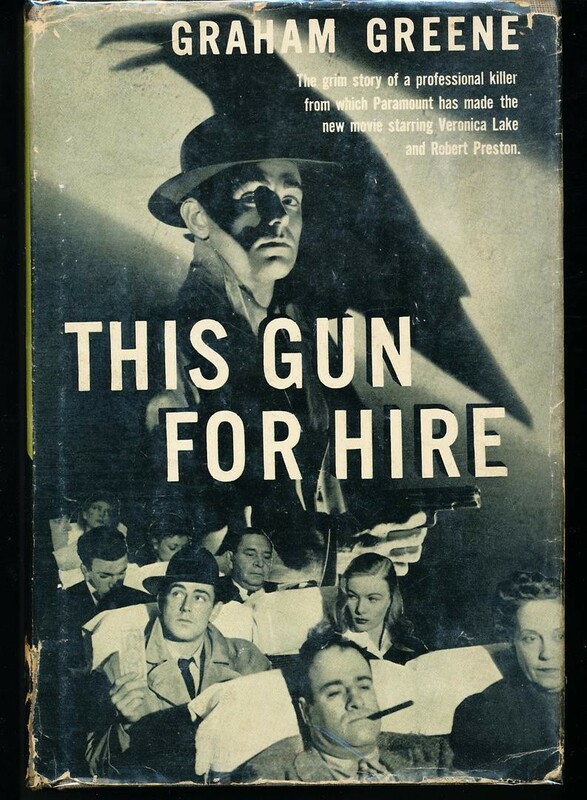 4) In A Gun for Sale by Graham Greene, the killer, Raven, is paid for his contract killing in stolen bank notes and the police are subsequently given the serial numbers. This sends the cheated assassin on a trail of revenge, which provides the vigilante theme for the story. It’s a fantastic inciting incident – the novel was the basis of three movies – although it makes little factual sense. It’s most unlikely that the villains would have paid off the assassin with stolen money. The hit was far too important. It could lead to the start of World War Two, after all. But who cares? It’s not worth getting bogged down in pedantic questioning in fiction, or you’ll end up with a factually correct but somewhat dreary story. It makes emotional sense to the reader, and that’s all that matters. 5) In a forthcoming thriller novel I’m planning, in the opening chapter the masked assassin is coldly and professionally shooting some establishment villains who have committed treason, and are certainly deserving of execution. As the law chooses to ignore their crimes, he decides to take the matter into his own hands. But that’s not the inciting incident. That comes towards the end of the sequence. He’s about to calmly shoot the leader when he suddenly realises: It’s his boss! He can’t bring himself to pull the trigger – even though he rightly despises his boss: a Flashman character who is an entertaining but loathsome piece of work. The assassin escapes, wondering why the Hell he couldn’t shoot his boss, which puts himself at risk. His true character is revealed under pressure. He’s not quite the cold-blooded killer we thought he was. Such an inciting incident is valuable for a host of reasons. It introduces the assassin’s opponent early in the story, under dramatic circumstances. It means his boss is now wondering who the assassin is. Maybe it’s someone he knows? It also shows us that the assassin has some humanity, some vulnerability. Perhaps, deep down, he actually likes his boss? Or can he only kill impersonally? 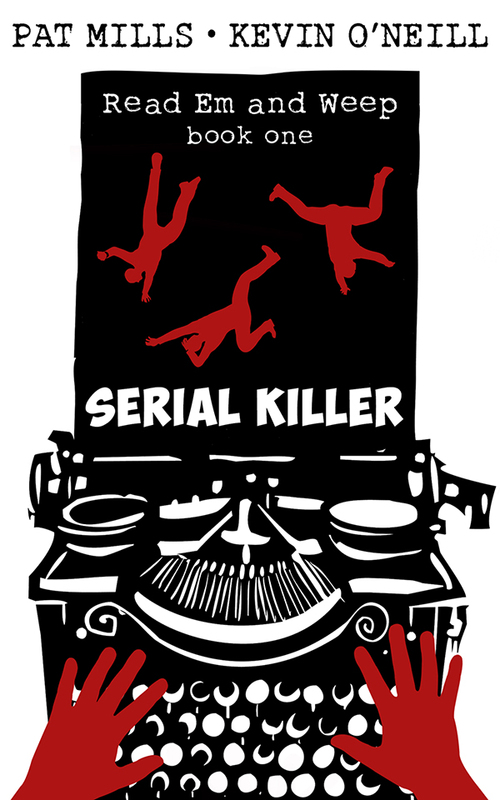 6) In Serial Killer, Dave Maudling is enjoying making his young readers’ lives a misery for his own twisted amusement. Thus one of them, copying an incident Dave has written into The Caning Commando, tries submerging himself in the bath and breathing through the plughole! Consequently, he loses his front teeth, which Dave thinks is hilarious. The inciting incident follows when Barber, a ferocious journalist – ‘The Demon Barber of Fleet Street’ – is investigating this case and it looks like the game is up for Dave. All Dave’s various crimes will be revealed and he will go to prison. Unless he can lie or cheat his way out of trouble, which he’s rather good at. But, ultimately, the inciting incident is the start of Dave’s road to redemption. He didn’t wait for Dave’s approval. ‘So … you’re Dave Maudling, editor of … The Spanker?’ He lingered on the name, enunciating with relish. Dave nodded penitently. ‘I broke the Profumo scandal. Christine. Mandy. Stephen. I knew them all.’ He raised a bushy eyebrow meaningfully. ‘Intimately. I made my excuses and stayed.’ He smiled arrogantly, enjoying his little joke. ‘I didn’t say that,’ protested Dave. ‘I didn’t say … I never … It’s meant to be a funny war story, not The Diary of Anne Frank,’ protested Dave. ‘Could that be “Handsome, heartless Editor”?’ suggested Dave, trying to make the best of his impending destruction. ‘Actually, make that “Single, available, handsome, heartless editor,” ’ said Dave, looking across at Joy, Sharon, Ron and Greg watching him from the bar. Maybe Joy would come and visit him in prison? He’d heard that seeing men helpless and in trouble sometimes turned women on. His sister Annie once told him she had lustful thoughts about a handsome, half-naked, helpless Jesus nailed to the cross, and at her mercy. Maybe that was the way to nail Joy? Most film script editors would agree that the finale should be worked out next; or even before the inciting incident, following approval of a two-page, clinical, terse, almost monosyllabic step breakdown. Which I’ll be discussing next week. Pat, will you talk specifically about world building? Because your worlds are vivid, immense and very well constructed! I love all the background story for Metalzoic, for example. You’ve persuaded me, Bruno. Another reader made the same request, so, yes, I must do it. I think the first world building I did was on Flesh where I worked out all the vehicles and how the Flesh was transported to the 23rd century etc. So – yes. I’ve added it to my list! 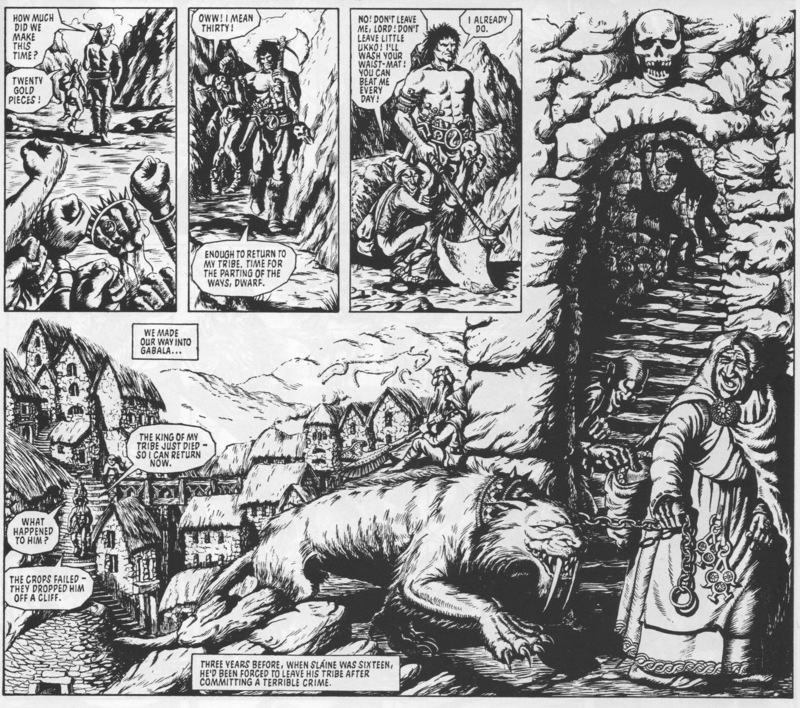 The first episode of Slaine is the best opener in 2000AD’s history. Absolutely everything you need to know about the decades of strip to come are set out on the page, from the drunes and their weirdstones, to the possibility of time travel, prehistoric beasts, the merging of authentic Celtic designs with low-fantasy elements, Slaine and Ukko’s relationship, the notion of the Sun King and as you say, the inciting incident that will carry us through the next ten years of story. What a masterpiece you and Angie created in a handful of pages. Thanks, Tordelback. Yes, I spent ages working out the world before episode one was complete. Is example 5 from a forthcoming Read ‘Em and Weep book, or a novel from outside that series? It’s a separate series: a historical thriller. 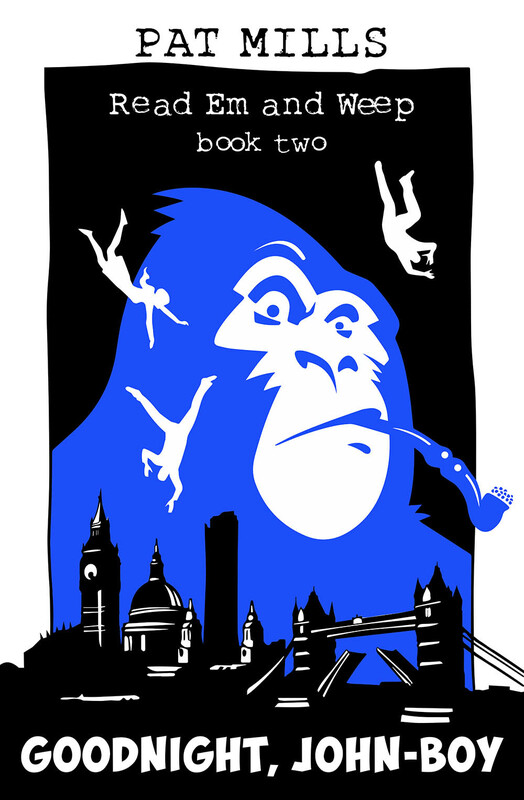 I’ll start it once I’ve written the third book in Read Em And Weep (The Grim Reader).